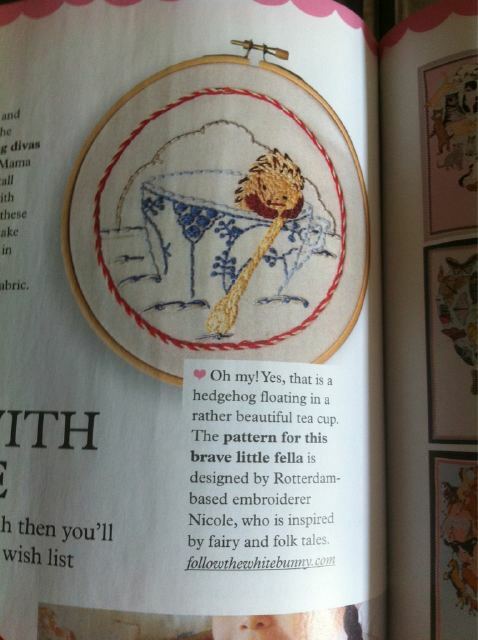 Look who is making his appearance in one of Britain's coolest crafty magazines, Mollie Makes? It's my little Pindsvin! 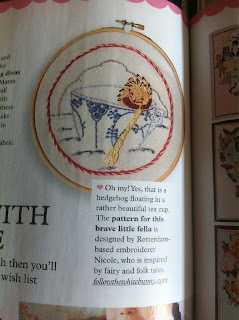 Thank you Justine for instantly making a photo for me of the feature as I don't have a copy of this months issue yet! Sarah-Jane was a bit, ehm... late with sending so the arrival of these lovely goodies was totally unexpected but wow, what an amazing package it is! I think I will use the fabrics (of Sarah's sweet fabric line Children at Play ) to make a lovely lap quilt for Luna! And that magazine is right up my alley, I love making stuffed toys, something I absolutely need to do more often. Again something completely different...if you love to embroider you need to keep an eye out for my posts on Feeling Stitchy. 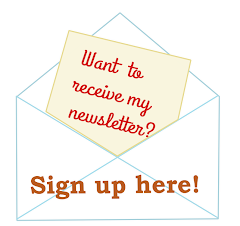 There will be an absolutely wonderful contest soon, with beautiful prizes that I think embroiderers will LOVE! So make sure you free your dairy of all appointments the next month or two to stitch your entry. The theme is one that is close to my heart and I hope that you will all find it inspiring as well! YAY for you and sweet Pindsvin!! :D What a lovely little spot in a great magazine! Congratulations on your magazine feature! And you're killing me with the contest teasers and the suspense!!! I love Molly Makes. I will be looking for your pattern. Congrats!